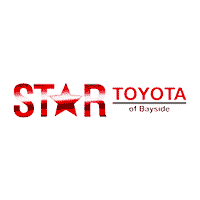 At Star Toyota of Bayside, we understand the value of commitment. We have a fantastic team of enthusiastic brand ambassadors who offer our customers 5 Star Customer Service and our team is always growing! If you are interested in joining our team, don’t let the lack of an opening hold you back. Introduce yourself via our online employment inquiry form or come in and complete an application. If we do not have a current opening, we will keep your application on file. There always seems to be room for positive attitudes, drive and determination in a successful organization. The experience starts here.